Dr. Philip Kennedy has linked man to machine. The possibilities are fascinating and frightening. 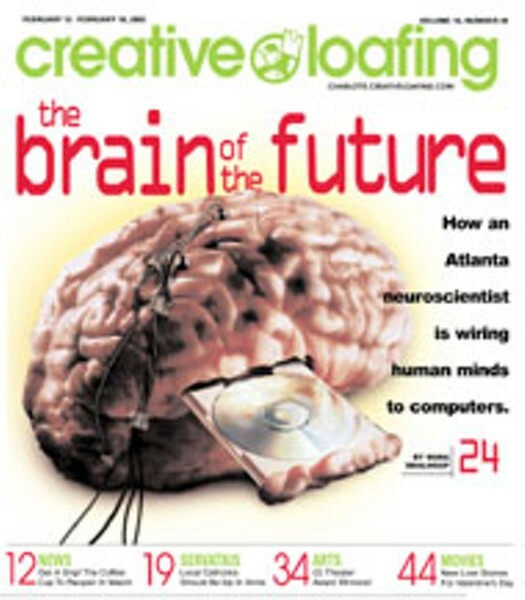 Jim Stawniak Father of Cyborgs: Dr. Phil Kennedy, neuroscientist and CEO of Neural Signals, Inc., has fused the human brain with a computer. In a ground-floor room of Emory University's Wesley Woods Hospital, the man who used to be a cyborg shifts his eyes to the right. That means no, in answer to the question, "Would you like me to read to you?" The Georgia State University researcher gives up on the book she's brought. She tells the man, who we'll call by his initials, T.T., that she couldn't find a copy of The Godfather. She's brought another movie, Rounders. The love interest is a blonde, she points out. "Would you like to watch it?"T.T. flicks his gray eyes to the left. Yes. Even if he weren't breathing through a respirator, T.T. wouldn't have found the voice to answer. He first realized something was wrong 15 years ago, when he started stumbling. He had been a great swimmer at his St. Simon's Island high school, had moved on to kayaking and mountain biking in his 20s. Then his muscles suddenly began failing him at 28. T.T. was diagnosed five years later with a rare genetic disease, mitochondrial myopathy, which likely killed his mother in her mid-30s. He lost the ability to walk five years ago. Now he can only move his eyes. 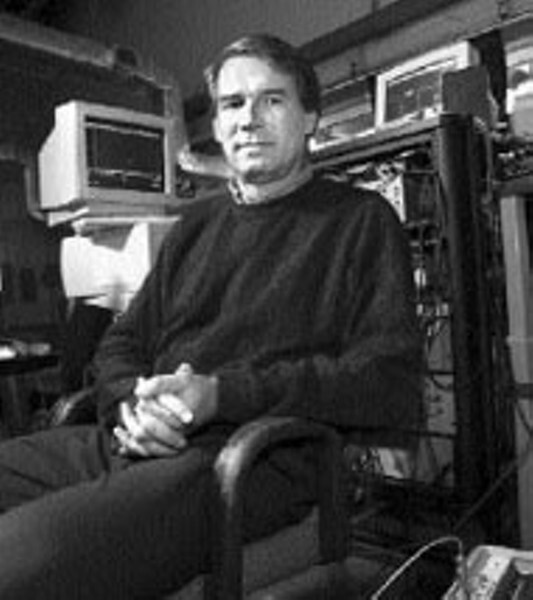 Dr. Philip Kennedy, a neurologist who invented the hardware implanted in T.T. 's brain, pats the man's atrophied left arm. "We'll leave you to your movie," Kennedy says in the Irish accent that has stayed with him since his move to America 20 years ago. He signs the log on the bedside table, sprays his hands with disinfectant foam and bows out. In the hallway, Kennedy talks about what he didn't want T.T. to hear. Several months earlier, a CAT scan showed that T.T. 's brain had shrunk. A lot. There is nothing more Kennedy -- or the electrodes he placed four years ago -- can do. But all is not lost for others who suffer similar disabling diseases. There's D.J., a patient implanted with Kennedy's electrodes three months ago. The incision in her head hasn't closed, so the electrodes implanted there will have to be extracted and re-implanted. Just a minor delay. Kennedy is hopeful -- both about D.J. and the future of his technology. He is also fearful. On the one hand, there is a medical phenomenon growing out of Kennedy's work. His electrodes could enable patients frozen by disease or injury to circumvent the spinal cord, re-establishing a decent range of speech and motion. So far, three of Kennedy's six implantees have learned to move a cursor across a computer screen and spell words just by thinking about it. If Kennedy's technology reaches its full potential, something more amazing will have occurred. The people implanted will no longer be human as we know humans. Their existence will depend on machines, and their brains will have adapted accordingly. They will think differently. They will use their minds to control computers, with more stunning results than any human to date. That introduces the ethical dilemma of a more manipulative use of what's called brain-computer interfacing (BCI), a way of warping the technology to turn an average brain into a superpower. If BCI can unlock those caged by their bodies, imagine what it could do for those in perfect health. Think of it this way: With the same patience practiced by those paralyzed by injury or disease, you could do new things with your brainwaves, too. With the ability to marry the brain to a computer, you would become capable of intellectual and, possibly, physical feats unknown to man. You could be a superhero. You could be a supervillain. "The brain-machine interface has been done, and I'm glad to have done it," Kennedy says. "But a responsibility has evolved there. I don't know how to make it not get out of hand." He says he got into this work with the sole intention to aid the disabled. Imagine being resigned to the role of observer, one who mostly watches a hospital room. Does the frustration of such isolation ever subside? Must life take on new meaning in the absence of speaking, eating, laughing and making love? Is it enough to live only to think? Kennedy is changing the obvious answers to those questions. Since 1988 he has faced several obstacles -- an initial absence of funding and peer support, as well as the subsequent deaths of his subjects. Still, he has succeeded as the only neuroscientist to implant electrodes in the human brain. Only three of his six implantees have learned to spell, the fastest at a rate of three letters per minute. That patient, Johnny Ray of Carrollton, GA died last summer, four years after he was implanted, making him the patient to hold the electrode the longest. He was also the world's first cyborg. "He went out on a cloud," Kennedy says, although it's obvious the patient's death was difficult for the doctor himself.